Will you help save the sight of a family like Bibie’s? 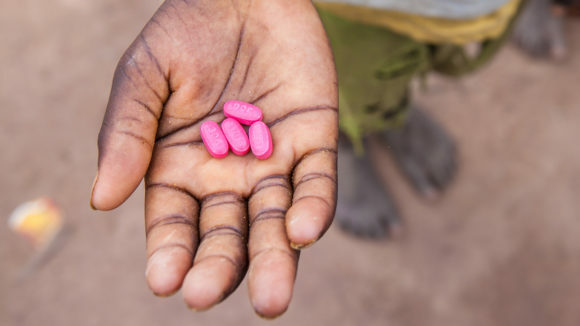 could provide antibiotics to protect 150 children, like Bibie. 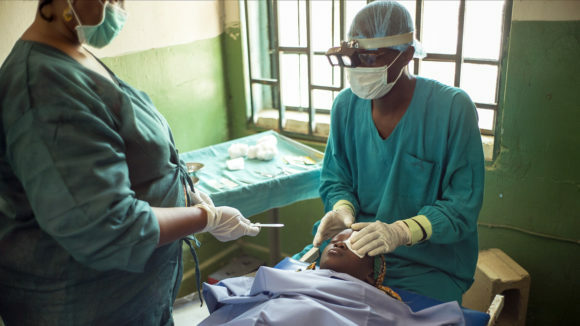 could provide sight-saving surgery for two people, like Aluna and Mayasa. 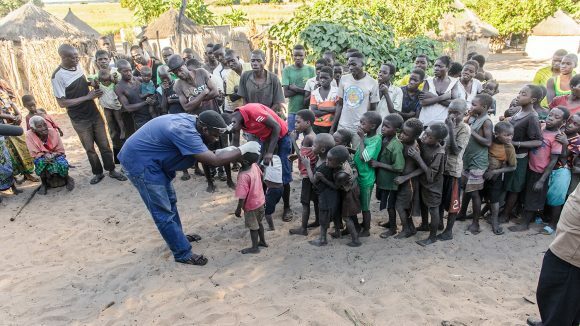 could protect an entire community from blinding trachoma. 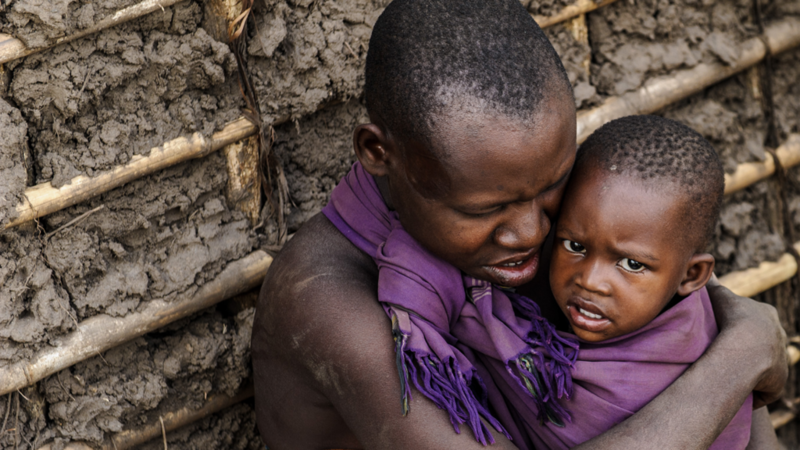 Bibie (pictured above) lives with her family in a remote Tanzanian community. Her village is at the end of miles of dirt tracks, past dense cashew orchards, in in an extremely secluded part of Tanzania. We only found Bibie’s family because a local woman told us how to reach their house. Otherwise we’d never have known that they were in agony with trachoma. Cases of trachoma are becoming far less common in Tanzania. But there are families like Bibie’s in remote corners of the country that are still suffering from this horrendous, blinding disease. Bibie was already suffering with trachoma, and without treatment, she could have eventually faced the same fate as the other women in her family – like her mother, Mayasa, whose eyelashes were scraping against the surface of her eyes, and Bibie’s grandmother, Aluna, who had the worst case of advanced trachoma I’d ever seen. Fortunately, we caught Bibie’s infection early and were able to treat it with antibiotics. Aluna and Mayasa later attended one of our surgery camps and received the sight-saving operations that would free them from trachoma. Our dedicated health workers are travelling vast distances across the region to find and treat every last case of trachoma. But we need your support – you can help provide the surgery that could save a person from this blinding disease. Your gift could be truly life-changing for a community like Bibie’s. Will you help end trachoma in forgotten communities like Bibie’s today?